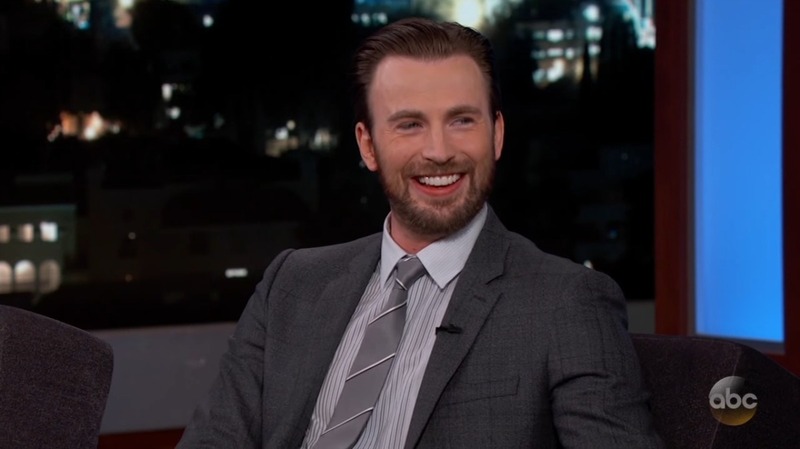 On Jimmy Kimmel Live, the Captain America star tried to decide if he loves Tom Brady or the Patriots more. By Abbi Matheson·	 4/4/2017, 10:34 a.m.
Chris Evans appeared on Jimmy Kimmel Live last night, where the subject of the greatest night of his life came up: the Patriots’ epic come-from-behind victory in the Super Bowl. Kimmel, clearly well aware of Evans’ deep love for his team, asked him to pick who he loves more, the Patriots or Tom Brady. As a massive Pats fan, Evans was naturally at the Super Bowl in Houston, alongside Avengers co-star Jeremy Renner. Lucky for Evans, a friend of Renner’s noticed how excited the Captain America star was getting during the game. During the finale of what Evans called the “most emotional game I’ve ever been a part of,” Renner’s friend caught Evans’ wildly enthusiastic reaction on camera. After James White’s winning touchdown, Evans reacted exactly like you did in your living room at home: by jumping up and down, pumping his fists, and shouting along with the crowd. It’s really the only appropriate reaction when your team overcomes the largest deficit in Super Bowl history. And while Evans attended the Patriots’ after-party, he ultimately did not get to meet his hero in person. And it doesn’t look like the buzz has worn off, either. Evans got so excited during the segment, he knocked over a glass of water.